A 28-year-old white Australian man and his cohorts attacked two separate mosques in New Zealand, killing 49 people. They had also prepared a car bomb, which was thankfully not detonated. The people killed were men, women, and children, refugees, New Zealand citizens, neighbors, and friends. Innocent people, may they be of blessed memory. Australians, unfortunately, have come to expect this kind of senseless slaughter in the news out of America, with its dozens of mass shootings every year. But this, this hit close to Australia. This, while not on Australian soil, struck at their very heart. It was an Australian that did the deed, and their neighbor, New Zealand, suffered. My heart goes out to them, and to the wider Muslim community, because this was absolutely an attack based on creed, religion, race, color. A hate-based lashing out by insecure white men. Make no mistake, this was terrorism. This is what terrorism looks and feels like. And it leaves us feeling hollow and scared. One of the terrorists live-streamed the video, which is still available on Twitter. No, I will not link to it. This seems to be taken right out of the ISIS handbook, because terrorists take hints from each other, no matter who or what they’re fighting for. These men were engaging with far-right literature, and one even went so far as to write “fourteen words” on his gun. There was a photo floating around on Twitter, which now seems to have been removed. Australia’s government talks about stripping citizenship from people who run off to join ISIS; I wonder if they will be so cavalier about someone’s citizenship now that it’s a white supremacist terrorist doing the killing. “One of the last things the shooter said before beginning his rampage: ‘Subscribe to Pewdiepie’,” journalist Robert Evans tweeted. It was not a joke. Pewdiepie is well-known for his “controversial” (read: racist) humor, as well as promoting far-right content to his mostly quite young audience. 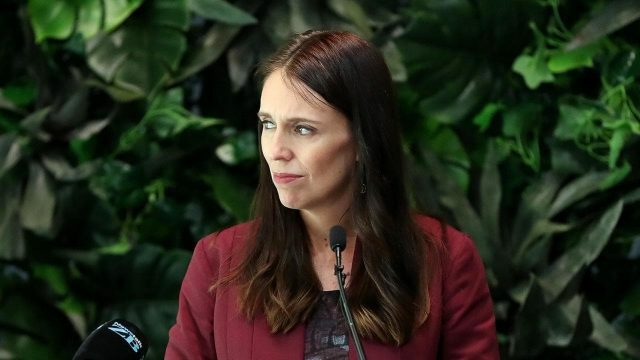 Prime Minister Ardern has said there is “no place in New Zealand” for people who commit these acts. She’s right. Australia’s government talks about stripping citizenship from people who run off to join ISIS; I wonder if Australia will be so cavalier about someone’s citizenship now that it’s a white supremacist terrorist doing the killing. Australia is exporting their Nazis now. In the wake of the St Kilda rally, in the wake of people like Blair Cottrell being legitimized by Australia’s sitting senators, in the wake of who is in charge of who may and may not enter Australia, and who they have as a leader, this incident is not surprising. It is horrible, it is heartbreaking, it is monstrous, but it is not surprising. We have been warning that this kind of thing was going to happen. Jews, Muslims, women, LGBTQIA+ people, POC; we have been warning the world to take it seriously when we say we are scared, to believe us when we say this type of thing was going to happen in light of hate and fear-mongering. And now many are dead far too soon and countless others are deeply affected by what has happened yesterday, fearing what is to come tomorrow, and seeing the same dose of violence repeat. This was not a “lone wolf” attack. They were a team. These are terrorists. These are white supremacists and far-right nationalists. These are Nazis. Let us call them for what they are and no longer validate their platform through the guise of “free speech” or for votes or for clicks. As Australians, the blood is very much on our hands.